Sandboarding is similar to snowboarding in many respects, except that it takes place on beaches and deserts rather than mountains. Sandboarding involves riding sand dunes while standing with feet strapped to a board. 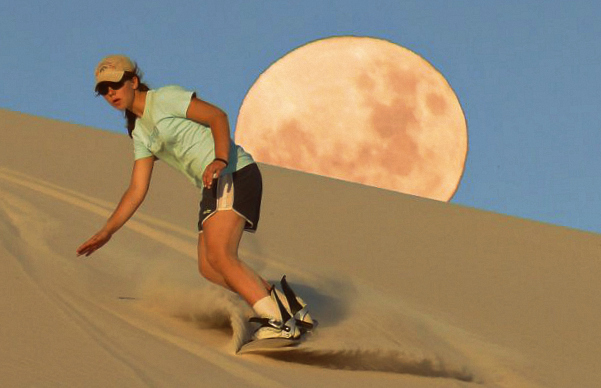 Since there are no ski lifts, sandboarders must be fit enough to climb back up to the top of the dune before each ride. Did you find this page interesting? Is there something we should add or change? Please leave your comments below.